The Hebrew term sullam, here rendered "stairway", is unique in the Bible; its etymology is uncertain. It may derive from the stem s-l-l, "to cast up a mound," or may be connected with Akkadian simmiltu, "steps." Sullam could therefore be a ladder or a stairway ramp. 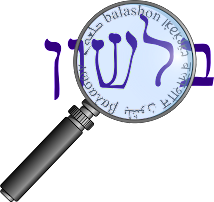 There is an extensive article here describing the word sulam, its meaning and etymology. We find that the ancient name of Rosh HaNikra, on the Lebanese border was סולמא דצור - "The Ladder of Tyre" - for it led up to the mountains of Lebanon. Klein accepts the opinion that sulam derives from סלל, which he translates as "to lift up, to cast up", and connects to the Akkadian sullu - highway. One of the derivatives of סלל is the interjection סלה - "Selah". It appears often in Tehillim and in the book of Habbakuk as well. Klein says it is "probably a musical direction to raise the voice and derived from סלל (= to raise, to lift)." (See also Daat Mikra on Tehillim 68:5). Another derivative is סוללה solela, which originally meant a raised mound of earth, primarily placed around the walls of a city for defensive purposes. According to Almagor-Ramon, Rashi (where?) explains the word as a catapult used to launch large stones. In the 17th century, the word solela was used in the sense of artillery. From here the word took on the meaning of an electrical battery - and indeed, the English word battery followed a similar path, first meaning a "unit of artillery" and then later meaning "an electrical cell."